Are you sitting on the sidelines wondering if you should buy a home? Information is power, but many homebuyers aren’t evaluating all their options, potentially leaving money on the table. In fact, first-time buyer demand may be being restricted by lack of knowledge. According to an article in the Wall Street Journal: "nearly half of U.S. home buyers don’t consult multiple lenders when they are seeking a mortgage, a government report says, raising questions about whether consumers are getting the best possible deal." You can take two important steps to get educated and learn how to save on your home loan. Nearly half of buyers don’t shop around for their mortgage. An analysis by the Consumer Financial Protection Bureau (CFPB), revealed that 47% never considered more than one lender. The CFPB also debunks the myth that shopping around lenders will hurt your credit score. When multiple credit checks are concentrated over a short period of time, they are typically treated as one inquiry and won’t hurt your credit score, according to the CFPB. You should not only shop lenders, but also compare different loan types to evaluate your cash needed to close, monthly payments and other fees. What about the down payment? One of the key misconceptions among buyers is what’s necessary for a down payment. Many mortgage professionals say that consumers either believe that they must have a 20 percent down payment, or that it would difficult to get a home with less. However, there are many low down payment options and down payment programs that can get you in a home much sooner for less down. 2. Research down payment programs. 71 percent of Americans don’t know about down payment programs. 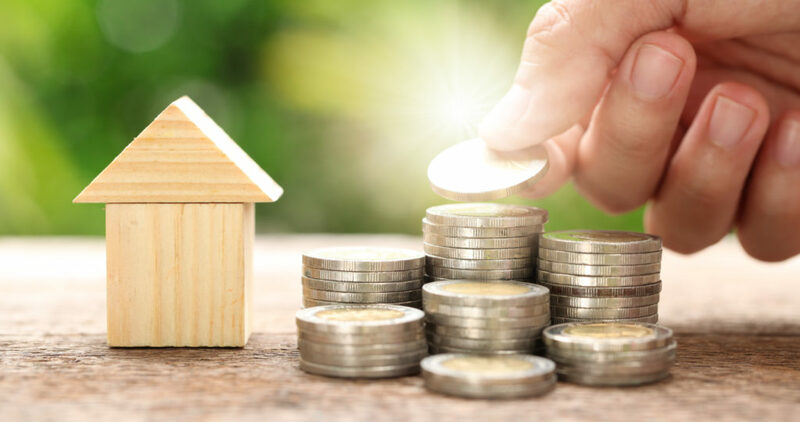 A recent survey found that most buyers simply are unaware of down payment programs and therefore aren’t even investigating these additional home financing options. Two common misconceptions about down payment assistance are that only low-income buyers can qualify for it, and that it isn’t available to first-time homebuyers. But that’s not the case. The fact is there are a wide range of programs available in every community across the country—more than 2,400 programs. Ask your lender or agent about down payment program options that can be combined with your first loan. You can also find affordable home loans through your state or local Housing Finance Agencies (HFAs). Some of these programs feature lower minimum down payment requirements, competitive interest rates, down payment programs and homeownership counseling. Prioritize these two steps before you start touring homes. After you have your home loan details in order, you’ll know what homes and price points will best fit your situation. Call 561-306-6736 or contact me at ges.rellc@ymail.com for more info on shopping for a home loan.